Because I'm Me is the featured seller today and tomorrow, December 12th and 13th at BelleChic. 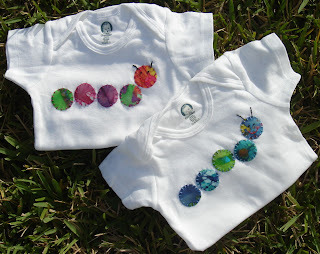 The site is offering my hand appliqued and embroidered onesies at half their regular retail price, which the lowest price at which they've ever been offered! Register at BelleChic. Signing up costs you nothing and gives you access to the great deals deals being offered, with e-mails sent out a few times a week announcing new partner sales. Thanks for checking out my moment in the spotlight at BelleChic! If you're interested in being a vendor at BelleChic click on the application on their site.